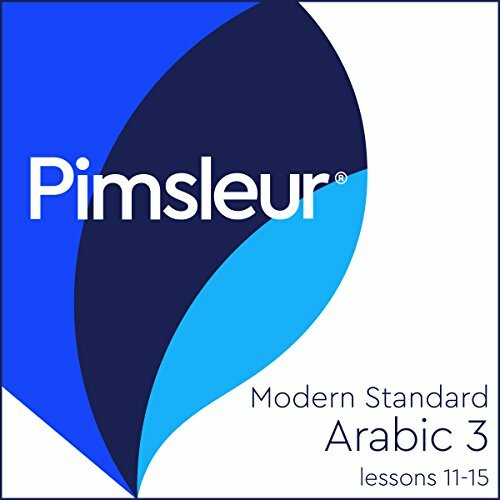 This course includes lessons 11-15 from the Modern Standard Arabic Level 3 program featuring 2.5 hours of language instruction. Each lesson provides 30 minutes of spoken language practice, with an introductory conversation and new vocabulary and structures. Detailed instructions enable you to understand and participate in the conversation. Practice for vocabulary introduced in previous lessons is included in each lesson. The emphasis is on pronunciation and comprehension and on learning to speak Modern Standard Arabic. The Modern Standard Arabic language (MSA), also known as Standard Arabic or Literary Arabic, is the variety of Arabic used in writing and in formal speech. MSA is spoken by an estimated 300 million people worldwide. It is one of the six official languages of the United Nations. Modern Standard Arabic is the official language of all Arab countries and is the only form of Arabic taught in schools at all levels. Because of this, MSA is the lingua franca of all educated Arabic speakers, regardless of nationality or spoken native dialect. It is used in the news, schools, official documents, and courts of law. MSA bears great resemblance to Classical Arabic, the language of ancient poetry and the Qu'ran. The Arabic alphabet contains 28 basic letters and is read from right to left.